Under South Carolina law, SECTION 62-3-1201, a “small estate” involving bank accounts and other personal property can value up to $10,000 to qualify to avoid probate court. Successors may file an affidavit of heirship to claim this personal property. In South Carolina, “successors” are not just the decedent’s loved ones, but sometimes creditors collecting debts owed by the decedent, which may be paid out of the decedent’s estate. However, these creditors must have evidence that the decedent owed the money claimed. While probate court is expensive and time-consuming, this may be a good option for grieving families to resolve problems with creditors. 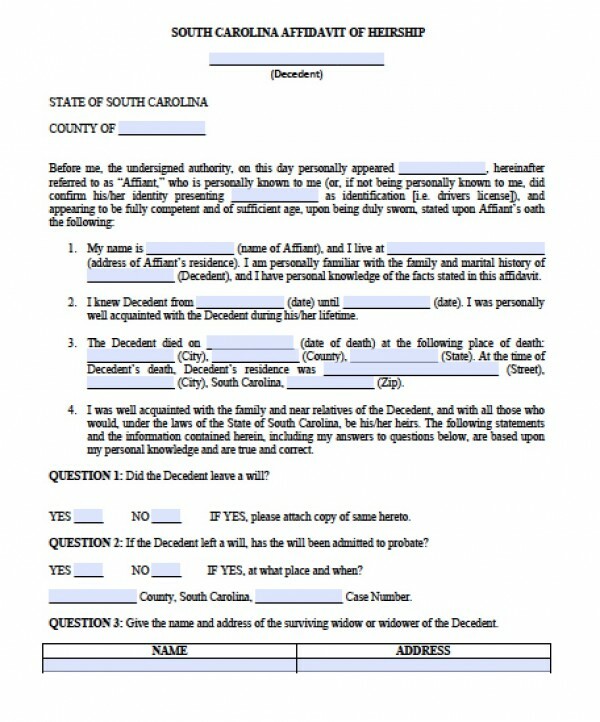 Otherwise, the family may avoid probate court and distribute the bank accounts, final paychecks, vehicles, heirlooms, and other personal property as they see fit with the affidavit of heirship. 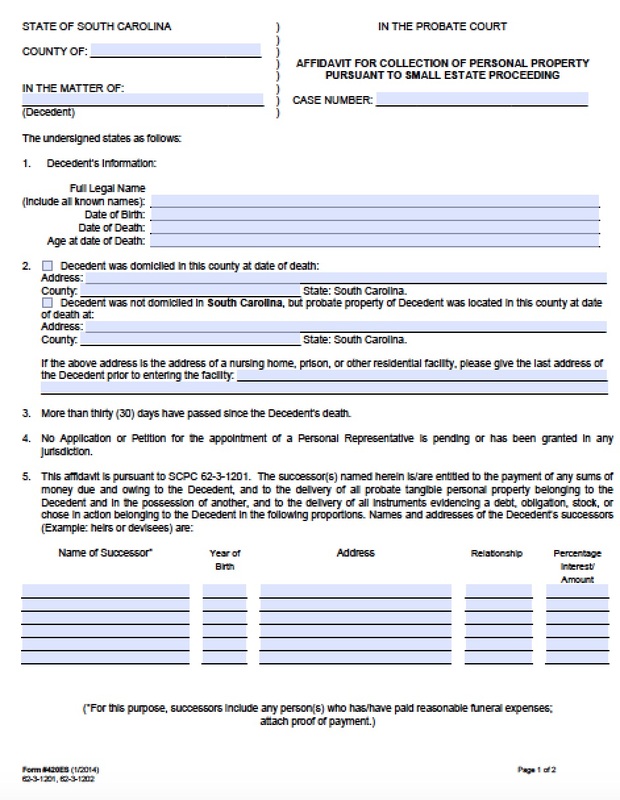 Step 3 – Sign the document before a notary public, and file with a copy of the death certificate.